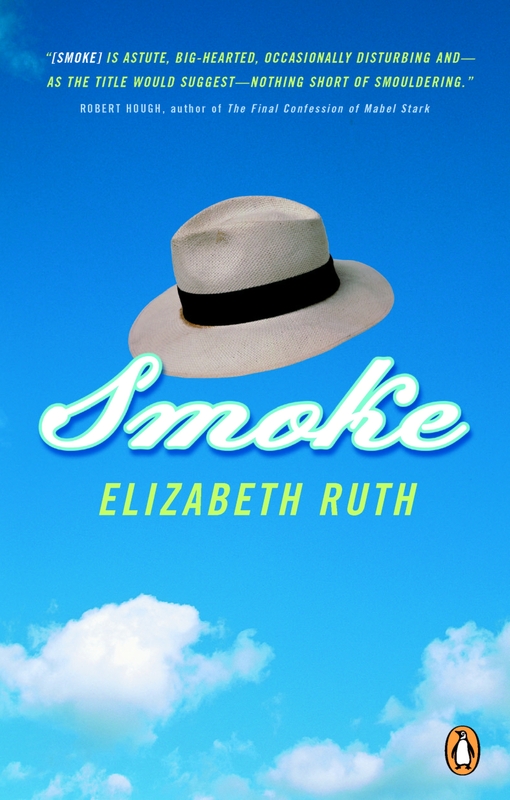 Critically acclaimed author, Elizabeth Ruth’s novel, “Smoke”, is the book selected for the 2007 One Book, One Community program. “Smoke” takes place in the 1950s, in the Ontario tobacco-growing community of Smoke. A night out with his buddies, too much booze and a lit cigarette changes Buster McFiddie’s life forever. Through the process of healing, one man’s voice speaks to him, spinning yarns of The Purple Gang, the notorious Detroit mob, and helping ease the pain. It is the voice of John Gray, the town doctor. Soon it’s clear that telling these tales means as much to Doc as hearing them means to Buster. In an era of conformity, a disfigured boy tries to move his life forward, and an old man grapples desperately with his past. Elizabeth was born in Windsor, Ontario. As a child and teen, Elizabeth lived in Canada, Colombia, and the US. As a young woman she took herself to France. Since the age of fourteen she has worked at a multitude of jobs. For eleven years Elizabeth worked in women’s shelters and community based mental health centers, focussing on people who often get lost in mainstream mental health services – youth, those labelled schizophrenic, and the homeless. Living and working in Toronto, Elizabeth’s short fiction has been widely published in literary journals and anthologies. Her debut novel “Ten Good Seconds of Silence” was published in fall 2001, and named as a finalist for the Rogers’ Writer’s Trust of Canada Fiction Prize, the Amazon.ca/Books in Canada First Novel Award, and the City of Toronto Book Award. For more information on visit Elizabeth’s official website.